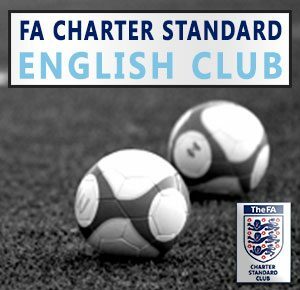 The FA Charter Standard programme is a kitemark, which recognises and rewards high quality levels of provision in Club football. The Charter Standard was awarded to Runcorn Linnets and confirms that we are well run, sustainable, uphold child protection policies, provide quality coaching and child safety is paramount. The kitemark is a major focus of The FA´s £200 million FA National Game Strategy and has improved coaching, the number of girls´ football teams and safeguarding children. The criteria is challenging and thorough, ensuring that all FA Standard Charter clubs display the highest levels of care, discipline, safety and respect. Once awarded, FA Charter Standard clubs and leagues are given an annual health check to ensure the standards of provision are maintained. By achieving an FA Charter Standard Club Award, we are demonstrating to all members, parents, sponsors and the public, that we are a well-organised, safe Club offering opportunities for all. The kitemark is renewed each year as a reassesment process takes place and can be withdrawn if a club has a poor disciplinary record, fails to attend in-service FA Charter Standard events, or is unable to continue to meet the criteria mentioned below. Having a trained Welfare Officer. CRB checks for all volunteers. Emergency Aid-trained volunteers linked to each team. A Level One coach for each youth team. An appropriate club administration in place. Runcorn Linnets JFC were one of the handful of clubs that made it all the way to the national finals of grassroots football in 2015. After winning the Cheshire FA Charter Standard Club of the Year Award, Runcorn Linnets junior football club proceeded to the national contest amongst some of the best club's in the country. The prestigious regional award was given to Runcorn Linnets after four months of voting and a seven-week judging session. 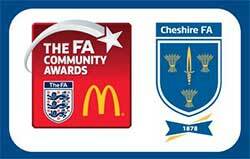 The honour certainly speaks volumes for the club and is recognition of the clubs very high standards within the game. All of the hard work from our junior footballers and backroom staff has helped elevate the stature of the club to the lofty heights it now occupies. "Well done to everyone at the club, our continued success off the field is testament to the commitment shown by all of our junior players and backroom staff. On behalf of the club, I'd just like to say that the other nominees mentioned are all great clubs and it's an honour to be given specific recognition. We will continue to strive to be an extremely well ran club, for the players, the parents, the carers, the staff and the fans alike." As a club, we are always trying to educate our members on the virtues of the FA respect campaign and other worthy worthwhile causes. Ensuring our players, staff, supporters, parents and carers are aware of these issues, is of great concern to the club. Runcorn Linnets have a responsibility to promote high standards of behaviour within the game, in doing so we aim to provide our people with a great deal of information regarding these issues. Please visit our Club Downloads page for a complete list of the information available to download.